Top Hand Golf: Why Worry? 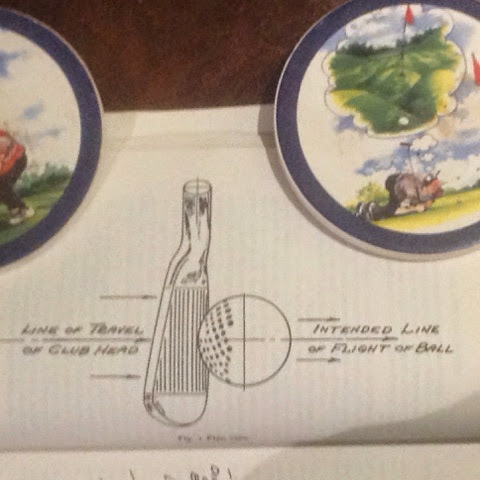 Fred Shoemaker wrote a really good book called, Extraordinary Golf. In it he talked about the need for us to break away from this culture of golfers and to start playing extraordinary golf instead of our usual worry-filled, anxiety-ridden game. He noted the fact that the problem with most of us when we play is that we want to look good, or more to the point, we don't want to look bad. He talked about the first tee ritual, where, especially if we are playing with a stranger or a better player, we feel compelled to launch into our list of excuses about why we are likely not to play as well as we think we should or we think the other player or players think we should. It amounts to us saying, "I'm nervous and worried that I won't play well and you will be disappointed." That message is couched in expressions like, "I haven't played in two weeks," or "I have a bad back," or "I've been having a helluva time with my driver lately." All of those expressions are designed to convey to the listener that you don't want to disappoint them. Why we do this is beyond me, because the reality is that just about everyone feels the same way, so they're only worried about embarrassing themselves. They could care less about how you play. Wouldn't it be great, though, if we were to follow Fred Shoemaker's recommendation and show up hoping, if not actually expecting, that something good is about to happen. What if we got real about it all and realized that, while we were almost certain to be going to hit a few lousy shots during our round, we also had before us the opportunity to hit some terrific shots. And, instead of worrying about hitting bad shots and looking bad, what if we started every round and stood over every shot thinking here is another opportunity to hit a good shot, a shot that will make me happy and maybe even impress my playing partners, although there is no need to try to impress anyone on the golf course. It would make a big difference in how we approached the shot and would likely improve our chance to succeed if we actually gave ourselves the chance to hit a good one instead of worrying about missing it. Walter Hagen was one of the best players of all time. He was a wizard at match play and won five PGA championships when they were match play events. He accepted that he was going to hit some bad shots every time he teed it up. In fact, he mentally gave himself seven bad shots a round. If, as one of the best players in the world, he expected to hit seven stinkers, how many bad shots should we be prepared to forgive ourselves for every round? In golf, as in life, we are going to mess up. It's a given. So we need to be ready to accept our imperfection and deal with it. In fact, how we deal with our failures in life and on the golf course says more about our character than how we deal with success. But we need to forgive ourselves when we screw up and we need to give ourselves the chance to succeed as well. Your playing companions really have a right to expect or hope for one thing from you when you play; that you are good company. Whether or not you are good company has nothing to do with how well you play. Some people are lousy company even when they play well. And some people, like my buddy Gerry, were and are great company even if they can't play a lick. I remember playing in a scramble tournament with Gerry. It was a four man scramble where all four of us hit every shot and each time we chose the best one from where to play our next shot. 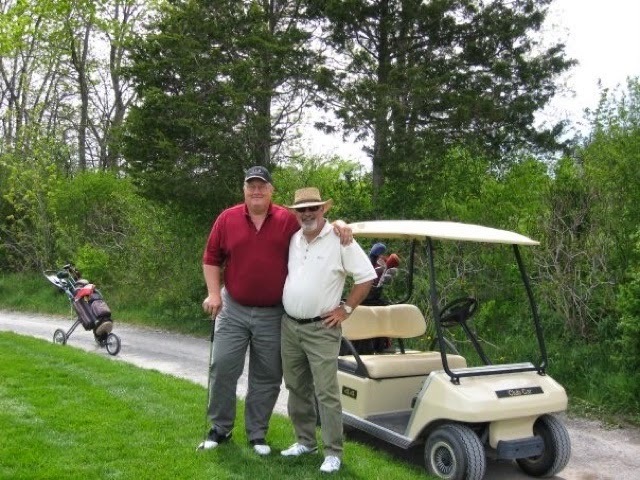 That day Gerry was having trouble with his game and the rest of us happened to be stronger players, so we ended up playing eighteen holes and not using one of his shots. Gerry, as usual, was the picture of composure and kept us loose with his joking and kidding. After eighteen holes, we tied for first place and had to play off against the other team. We tied the first hole, again without using any of Gerry's shots. On the next hole, we had a ten footer to win. Three of us missed it and Gerry stood up and knocked it in. His arms raised and a big grin on his face, we rushed over to embrace him. He told me afterwards that that was about as excited as he had ever been. Gerry could have worried about not contributing to the team for nineteen holes and got himself in a funk. But that just wasn't who he was. He celebrated our good shots, forgave himself his bad shots and enjoyed the day. He was good company and, in the end, he carried the day. He gave himself the chance to make something good happen when he willed that final putt in the hole. I want to start every round I play from now on with the knowledge that I'm going to miss some shots but excited because I have the opportunity to play great, to shoot my best round ever, to make another hole in one, to just have a good time. That's what it's all about.